Strange – I would have thought that the loss of 40,000 manufacturing jobs in the last four years would qualify as a crisis? 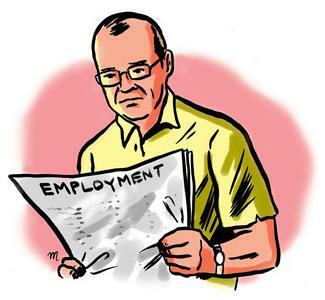 40,000 jobs lost – meh! Expect this list to increase on a weekly basis. This blogger also has ‘inside information’ that Veridian Glass – a Wellington-based glass-supplier for the glazing industry – will also be shedding an unknown number of staff, including truck drivers. Last year’s shocking news that unemployment had reached 7.3% (175,000 men and women out of work) may only be the beginning. The next Household Labourforce survey data may see unemployment rising even further. Meanwhile, as the manufacturing and export sector suffer from an over-valued dollar; more and more jobs are being lost; and business-owners are demanding action from National. Business people are supposedly National’s core constituents. Did we just hear Steven Joyce sh*t all over his colleagues?!?! In colloquial terms, that is what is known as ‘dropping someone in it’ – “it” being brown, smelly, and heading for waste-treament ponds. Is there a civil war going on within National, comprising two factions with one led by technocrat Steven Joyce and the other by neo-liberal Bill English? Or is there something even more disquieting going on within National’s ranks. You can always tell when a politician has been coached; they use the same words and phrases over and over again. Spin doctors/media-minders develop a mantra, and their clients are expected to learn and parrot it, by rote. It takes a skilful journalist/interviewer to peel away the carefully-crafted coaching and get to the truth. This indicates that Parata, English, and Foss had been pre-warned of Joyce’s press conference and admission of the three Minister’s actions. So is this some sort of carefully managed internecine warfare? Or a very subtle, clever strategy to neutralise possible Opposition disclosures in Parliament? Joyce’s statements that there will be on-going problems with Novopay could be seen as an attempt to minimise future media reports on Novopay errors.After all, if National admits that there will be ongoing problems – does that make it news when it happens? Whichever is the case, this is Steven Joyce at his most cunning, and the Opposition will need to be on their toes. As will the media, if they are not to be out-manouvered by National’s “Mr Fix It”. “Mr Fix It” does not apply to sorting out computerised pay systems. “Mr Fix It” fixes political messes. This certainly qualifies as the Mother of all Messes. My bet is that we will never, ever see this “advice”. It must be true; David Bain has an enemy in the current National Cabinet. Someone (Collins?) has taken it upon her (his) self to ride roughshod over the Privy Council, the re-trial, and retired Canadian judge Ian Binnie, to come to their own conclusions. If anyone ever wondered what it would be like to have political control of our judicial system – this is pretty damned close to it. “Justice” Minister Judith Collins is quite openly holding up David Bain’s claim for compensation for wrongful imprisonment. After publicly trashing retired Canadian judge Ian Binnie’s Report into the matter – along with his reputation – Collins sought a “peer-review” from Robert Fisher, QC. Fisher duly rubbished Binnie’s report and recommendation for compensation as “flawed” (see: Bain compo recommended but Binnie report ‘flawed‘). In turn, Fisher’s “peer review” was rubbished – evidently he hadn’t read up on the Bain case! Months have passed, it appears that Collins is stonewalling. Evidently, a final decision is yet more “months away”. Now there is talk of Collins requesting another “independent” review. Well, I hope she’s not going to be looking overseas. After National’s crass, insulting behaviour over Justice Binnie, I doubt any other Jurist would take up an offer from this current National government. Instead there is talk of an “independent panel”. Oh, really? How independent? Not too independent, I think – Commissar Collins might not like it. And if an Independent Panel came to the same conclusion as Justice Binnie – what then? Best of five – two more “independent reviews”!? If an independent panel deliverers the “wrong” result, perhaps Collins could ramp up the decision-making process. Perhaps a nationwide referendum? We could poll all 4.4 million New Zealanders whether or not to pay Bain? If we go down the referendum road, it should be a low-cost affair. After all, the Nats are struggling to balance the books and are practically taking money from schoolboys and girls doing paper rounds. So a referendum should be done on the cheap. Imagine deciding a human being’s fate – by just a click – *Like* or *Don’t Like*. The Village Mob, 21st century-style. Thank the gods for progress. National’s policies continue to harm the most vulnerable in our society – including those working hard trying to make a “go” of it and better themselves. How this helps people attain an education; find a job; get off welfare; and pay taxes – is beyond my comprehension. It is simply erecting another barrier in front of people who are doing it tough already. “I count it, that she’d get around $620 in the hand per week – not counting an accommodation top up benefit if she’s entitled. The story’s pretty poorly written and somehow suggests the dpb is $172… Nup. Such wilful ignorance… where does one start?! Perhaps we could start with John Key, our current Prime Minister and owner of $50 million. Dear Leader went to University at a time when tertiary education was free. No student fees. No student debt. In fact, the State paid students an allowance, to help with their studies and living costs. Or we could start with Social Welfare Minister, Paula Bennett. Ms Bennet was once receiving the DPB, as she raised her daughter. Nothing wrong with that. She received a Training Incentice Allowance, to pay for her University Degree. Nothing wrong with that either. She evidently tried part-time work whilst studying, but gave up her job because it was too hard to study and raise a child. Ok, we can understand that. What I (and many others) find impossible to understand is why Bennett then canned the Training Incentive Allowance. The same Training Incentive Allowance Bennett used to further her own education and get a job afterwards. The same Training Incentive Allowance that an acquaintance of mine received, whilst she raised two sons single-handedly; one with ADHD and Aspergers; and completed a University course; and now earns a good salary paying taxes – instead of being on the DPB. Or is there a nasty, punitive, streak in our collective psyche – as expressed by the vile comments posted by RossRonald and Jackie10000 – that demands that those receiving welfare and the “undeserving poor” should be destined to rot in perpetual, unrelenting poverty? How can our once egalitarian society now be producing quasi-Scrooges with such malicious and monstrously shameful comments as RossRonald and Jackie10000 wrote? One can only hope that those two represent only a tiny sector of our society – perhaps no more than the 23,889 who voted for ACT, in 2011. Talk about pulling the rug out from under people. All because we have a political Party in government that panders to the lowest common denominator; naked self-interest. All because National blew $2 billion a year in unaffordable tax cuts in 2009 and 2010. And all because, with the shortfall in tax revenue, National is having to scrimp and scrape and slash social and State services, to find the money to “balance their books”. Just like they did in the late 1990s. The top income earners have done very well out of National’s unbridled generosity in giving money away. Key and his cronies practically hosed it from the Ninth Floor of the Beehive to the waiting One Percenters below. She’s having to pay for those tax cuts by losing out on an education. Class act, National – taking money of widows?! It takes a profound and deeply callous indifference to make light of the ongoing Novopay fiasco and the resulting stresses on teachers and school admninistrators. Parata may have been ‘joking’ when she made her “Karma” quip. The joke, though, is on her and on John Key. I suspect that the moment this story hit the headlines, that Key was on the phone quick-smart and gave her a simple message; “shut the –––––––– up!”. The difference, as the pundits have most likely correctly guessed, is that sacking Parata would’ve been seen as caving in to teacher’s unions, school boards, parents, and anyone else that she has pissed off in the last year or so. It would’ve been a major coup for the Opposition, who are now only 22 months away from becoming the next government. As for Hekia Parata, this blogger is ambivalent about her resigning her portfolio. 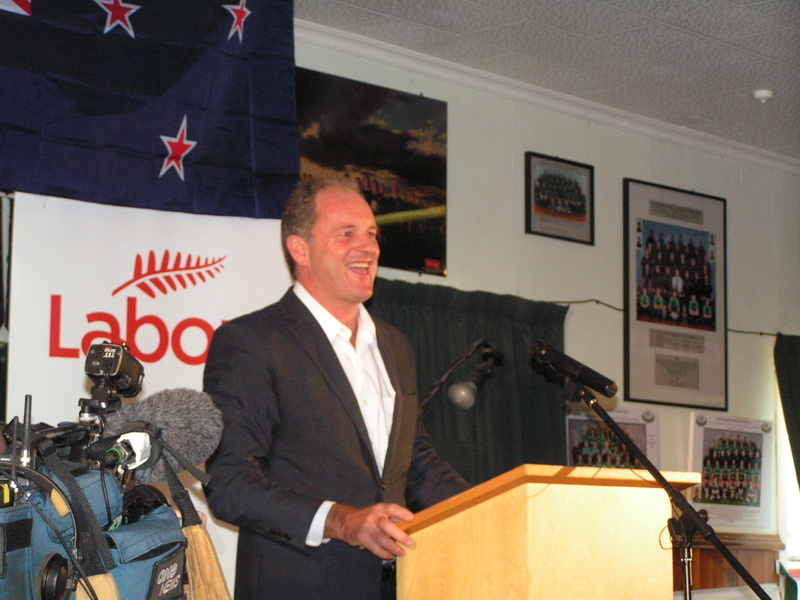 A new Minister would simply take up the reins and pursue current National Party policies. Perhaps with a new vigour. That would be of no help to this country whatsoever. Parata’s presence as Minister of Education has an ongoing “benefit” of focusing on the ideological nuttiness of National’s education “reforms”. National’s education portfolio is a mess because National’s policies are, in themselves, a mess. Why take away a constant reminder of National’s failings, by sacking one of it’s most inept Ministers? Why put a fresh, new, clean face on a cesspit of problematic policies? Why let the Nats off the hook? Let Parata stay. It will give voters something to think about in 2014 (if not earlier). “A new Minister would simply take up the reins and pursue current National Party policies.” Enter: Stephen Joyce. ” Let Parata stay. It will give voters something to think about in 2014 (if not earlier).” With her bizarre comments, she certainly is giving voters something to think about. When Hekia Parata referred to Karma today, I think she was missing the Big Picture. See the bite marks on Key’s $50 million arse? 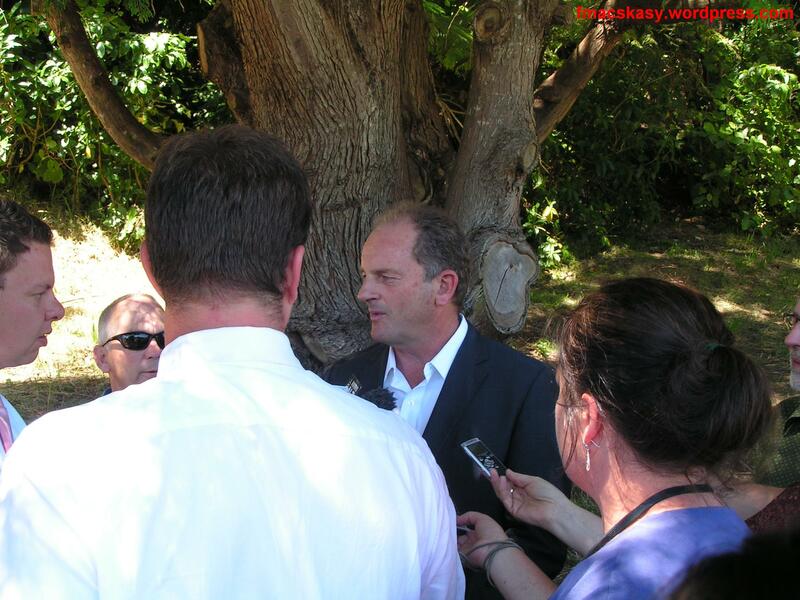 David Shearer – New Solutions or Time-Honoured Answers? 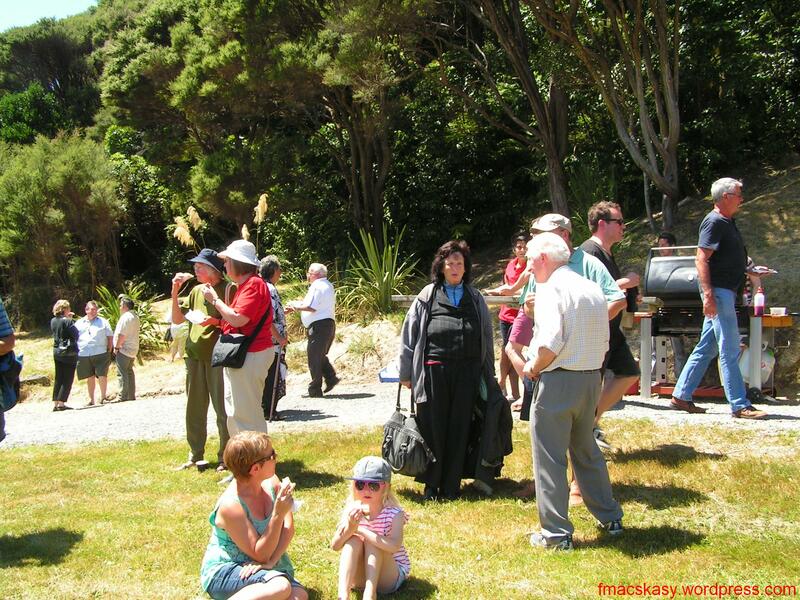 Wainuiomata, Sunday, 27 January 2013 – It was a scorcher of a day throughout most of the country – and the Wellington region was no exception. The Met Office was predicting 23 degrees – this blogger scoffs at that and thought it nudged closer to 30. Not for the first time, I thanked the Human Race for the invention of air-conditioning inside a car. This was not the first time I had heard Party leaders speak. My very first occassion was Bill Rowling, in the 1975 election campaign. According to my memory, he seemed a nice enough guy and had some good things to say. Unfortunately forLabour – and for the nation – Muldoon made “mince meat” out of Rowling; won the ’75 election; trashed Labour’s compulsory super-savings scheme; and set the country on a course for future dependency on foreign bankers. Nice one, Rob. 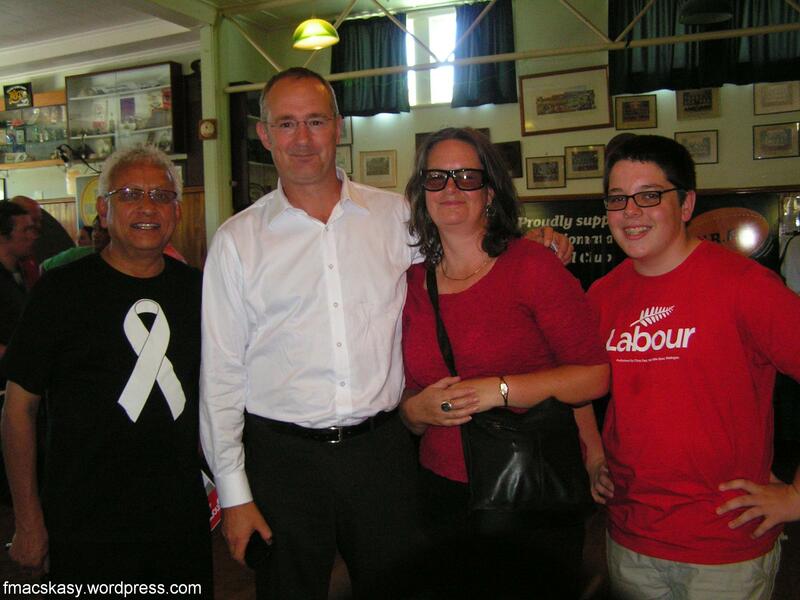 My most recent encounter with a Party leader had been John Key, in Lower Hutt and then in Upper Hutt, in 2011 in the lead-up to the general election. At first, I thought the Wainuiomata Rugby Club – at a far-flung corner of this little village – was an odd place for a public meeting. But maybe not. In some ways, Wainui represents New Zealand in the wider world; tiny, isolated, out-of-sight of the rest of the country and mostly forgotten. As a microcosm of New Zealand, surrounded by verdant green-covered hills, it was a perfect setting. The Rugby Club car-park was jam-packed. Decided to park across the road. Smiled nicely at the Wainui Bowling Club folk who must’ve been wondering what was going on across the road, and legged it. 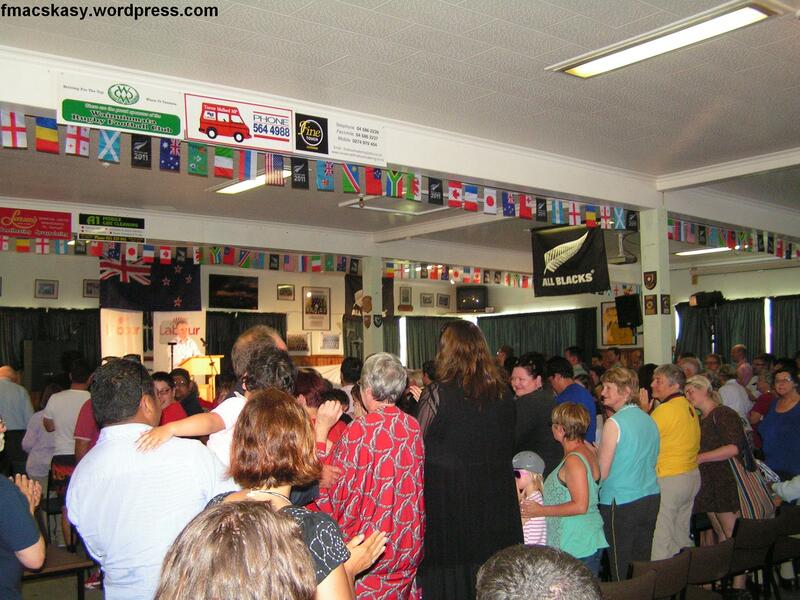 Bloody traffic had been slow all the way through the Hutt Valley and through Wainui and the ” star attraction” was due to start his speech within minutes. 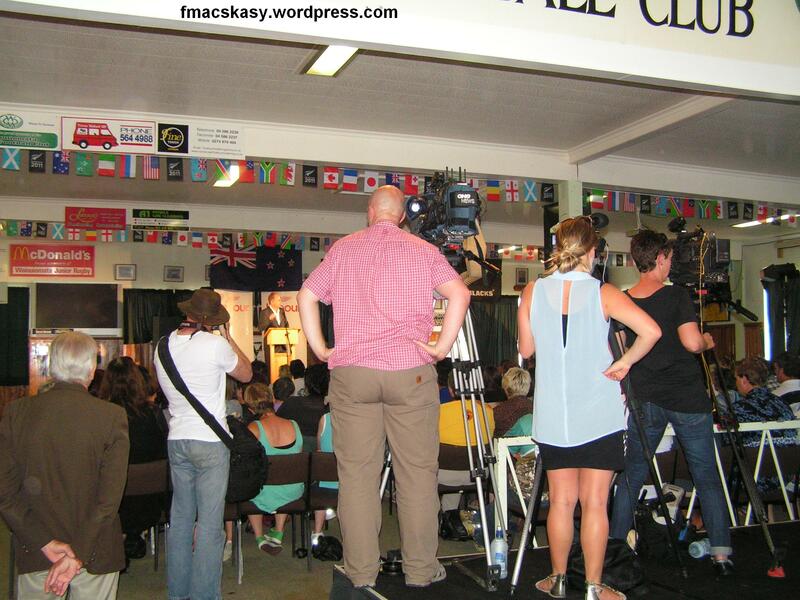 The host’s introductory speech was just finishing, and David Shearer walked – strided confidently – from a rear annex where he had been waiting with one of his staff. 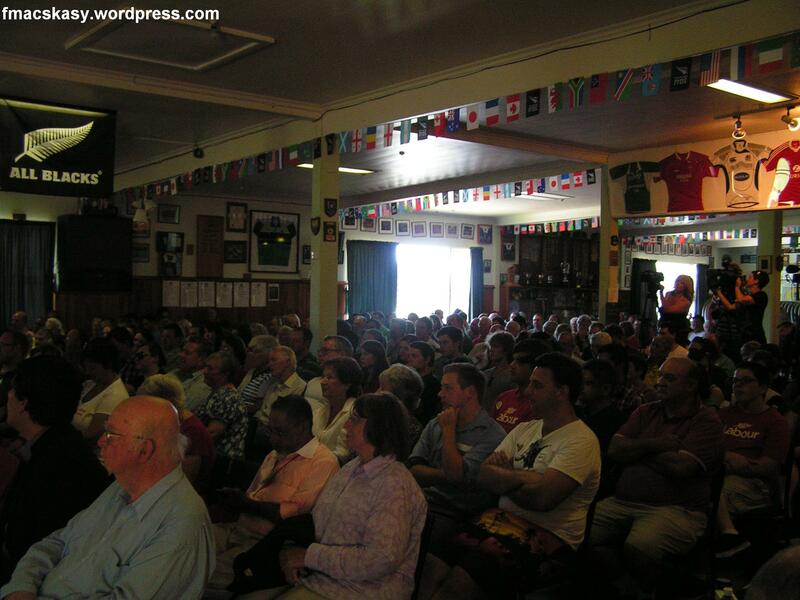 There was good applause from the audience, perhaps a third or half of whom were Labour party members or supporters. Greetings everyone and thank you for being here together on a Sunday. It’s great to see so many friendly faces. It’s wonderful to see so many of you prepared to give up some of your summer break to talk about the future of our country. There is nothing more important. And nothing more urgent. I can tell you that today I’m refreshed, I’m fired up, and I’m raring to go. This year will be a big year for Labour – a year where we not only hold the government to account, but also show there’s a better way. A way of hope, where there is a place for everyone and where we fight for a world class NZ that we can all be proud of. Today I want to lay out the challenges before us, the need for change and our focus for the year. Shearer started off well – and for the most part, maintained a vigorous energy as he gave his twenty to thirty minute long speech. A book I was given for Christmas tells the stories of 50 inspiring New Zealanders – artists, scientists, musicians, business people, some well-known, some less so. Reading about their lives, they share the same passion and pride in their work and in their country. The ambition to be world class. As scientist Ray Avery says: ‘we have no respect for the status quo’. These people never say it’s too hard – we’re not big enough, we’re too isolated, we don’t have enough money. Instead they say, “To hell with it, I’m going to do it anyway”. New Zealanders have always achieved what wasn’t supposed to be possible. Sir Edmund Hillary’s idea of what was possible took him to the very top of the world. Kate Sheppard’s idea of what was possible made New Zealand the first country to give women the vote. Alan MacDiarmid’s idea of what was possible took him from Masterton to winning the Nobel Prize. We’ve always dreamed big and succeeded. Interestingly, this is the same book that Alliance leader, Jim Anderton, referred to on numerous occassions during the 1996 general election campaign. He often mentioned it in his speeches, highlighting how New Zealanders had struggled to overcome adversity during their lives. I see that same attitude in families and schools, businesses and sports teams as I travel up and down the country. People overcoming adversity, dreaming of something better. When I see a single mum put herself through polytech to build a better future for her kids, I’m inspired. When I meet New Zealanders well into their retirement, who after a lifetime of service are the first to volunteer come Daffodil Day, I’m inspired. When a kid, who the stats say should fail, becomes the first member of their family to graduate from university, I’m inspired. It’s inspiring because Kiwis don’t lie down. From the most famous to the most humble, courage and determination is the common bond. They deserve a Government that backs their hopes and inspires them to succeed. A Government that says: you do your bit, we’ll do ours. Shearer used the phrase “you do your bit, we’ll do ours” several times throughout his speech. It’s a phrase that can mean different things to different people. In a centre-left context, it can suggest an interventionist hands-on government. Though it harks back to the famous Marxist expression, “from each according to his ability, to each according to his needs“, I doubt if 21st Century Labour’s speech writer had Karl Marx in mind. That’s what a Labour Government will do. That’s what a government I lead will do. But this Government’s low expectations are holding us back. For 4 years we’ve been fed skilfully spun excuses for why we can’t get ahead. It’s the Global Financial Crisis, the Canterbury earthquakes, the global outlook that is the problem. We are told we have to accept second best. There is always an excuse for why we can’t get ahead. For why we can’t be a leader in this field or that. For example, the National government aspires to being a fast follower when it comes to climate change. Hold that thought. What is a fast follower exactly? Does it mean that if we follow too fast we become … what…an accidental leader? Writing his speech, I would have referred to New Zealand’s leadership during the French anti-nuclear tests at Muroroa, and our opposition to apartheid in South Africa. Whilst our Aussie cuzzies were lukewarm in their support of Norman Kirk’s decision to send a frigate to the test site, we went ahead and did it anyway. We were The Mouse that Roared. And this would have tied in beautifully with his references above to “ 50 inspiring New Zealanders”. But a leader with no clue about where they’re going. That’s not good enough with an issue that is so important to our planet, and our country. I refuse to accept that for New Zealand. And so do the Kiwis I meet. “We know this isn’t as good as it gets. We know Kiwis deserve better than they are getting. We are focused on the issues that matter and we have the ideas and the ability to bring this country forward. The reason I point this out is that Shearer’s speech writer(s) should be wary of using too much generalised rhetoric. In many cases New Zealanders have heard it all before. If rhetoric is used, make it original and make it something unique to social democratic precepts. There has to be a different language; different words – a different brand – to that of the Nats. Otherwise Labour’s message will be diluted and lost within the political-media maelstrom. But this Government has forgotten the hard-working and inspiring people I come across every day. In a pub in Napier, a guy came up and said to me “I’m working harder than ever, I pay my taxes, we’re trying to bring up our kids the best we can, but we simply can’t seem to get ahead”. He went on to say: “I just feel nobody is standing up for me”. So many others I have met feel the same. They’re busy helping organise school galas, donating their time to charities, running the sausage sizzle to fundraise for local sports clubs. They are at the heart of our communities helping make our country the great one it is. I’ve run into that spirit amongst many small business owners. They’re the kind of people who pay themselves for 40 hours but work 80 just to keep the doors open. They’re not asking for an easy ride or a hand-out. But like thousands of others across this country, they’ve been taken for granted. They feel the Government has forgotten them. Kiwis across the country are working harder than ever. They’re doing their fair share. Playing their part. But they feel let down. My promise to you as Prime Minister is that I will always stand up for the hardworking, forgotten New Zealanders. You’re doing your bit, it’s time you had a Government that did its bit too. We desperately need real leadership now more than ever. The Global Financial Crisis has exposed the frailties of the old economic wisdom. Now we’re getting to the knitty-gritty. Recent history backs up Shearer’s statement 100% that the “Global Financial Crisis has exposed the frailties of the old economic wisdom“. This is reality and only the most hard-line rightwing National/ACT Party devotee would attempt the futility of arguing to the contrary. This is where National is vulnerable (amongst a truckload of other vulnerabilities). These are all positives that Labour shouldn’t be afraid to remind New Zealanders – many of whom suffer from long-term memory-fade at the best of times. The National Party believes the financial crisis is just a blip to get over. Their solution is to apply their failed ideas of the past over and over. The hands-off, simply leave it to the market approach has failed all over the world. We are on the cusp of a new era – when new thinking and leadership is needed to build wealth we can all share in. Why not offer a few examples? – Examples of hands-on State intervention. – Examples of governments re-taking control of their currencies. – Examples of people throwing out right wing governments and replacing them with centre-left administrations. …National hasn’t. It’s stuck in the past. We need a government that recognises times have changed. We need a Government that finds the courage to act, not better excuses for why we can’t. We need a government prepared to stand up for hardworking forgotten Kiwis. We need a smart, hands-on Government. A government that is prepared to be a player, not a spectator. That will be a Labour Government, and the Government I will lead. It’s about getting our priorities right, being thrifty about our economy. Bringing our debt under control. But being smart about how we tackle the massive challenges ahead. Above all, this country needs a government that chooses to act. Let me tell you what I mean. When a young couple is putting off having kids until they buy a house, and yet despite saving hard, prices always slip beyond their reach, it’s time to act. That’s why I’m committed to putting 100,000 families into new homes. It’s ambitious, but New Zealanders can see right through the Government’s hands off approach that leaves it to the market. Ambitious? Of course – but also doable. This is not beyond our means and it’s laughable that those right wingers who poo-poo the idea as “too hard” or “too costly” are always – always – the same ones who defend against similar criticisms levelled at National’s “pet projects” for their business mates. Evidently subsidising Warner Bros (a multi-billion dollar corporation) or a rugby tournament with our taxes is “not hard” and “not costly”. It’s called an ‘investment’. So why is building homes for our own people “too hard” or “too costly”?! Right wingers have a blinkered view of the world and a narrow idea of what is an ‘investment’. Housing for our citizens is a human right and something we’ve always taken pride in. This is Labour’s core strength; ensuring a roof over peoples’ heads. They see through the tinkering with the RMA. They see through the latest excuse – to blame the local Council. Key has been blaming everyone and everything for the poor state of our economy; rising unemployment; growing poverty, etc. … It’s ridiculous that we allow councils to demand almost anything as a condition for the consent. I’m waiting for him to next blame aliens, Illuminatii, et al. It’s also why Labour will introduce a Capital Gains Tax to move investment into business and away from property speculation that is pushing house prices through the roof. When a student graduating from university faces 7.3% unemployment and little chance of getting a job, it’s time to act. They’ve done their bit, we need to do ours. It’s heart-breaking watching parents waving goodbye to their kids at our airports. People want to work – they just need the jobs. Two days ago, John Key had an epiphany: We have a youth unemployment problem – we need apprentices. Good on him. I thank the focus group that brought that to his attention. There was thunderous applause from the audience at this point. The remark referring to “government by focus group” is a quip that National constantly tossed at the Clark government. It applies equally well to National’s term. Let’s keep using it. There are now 20 per cent fewer apprentices today than when he took office. 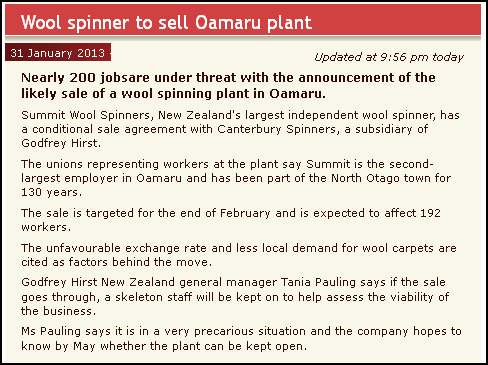 We are now importing foreign labour to meet skills shortages in the biggest rebuild in our history in Christchurch. Is he just waking up to this now? Is this government asleep at the wheel, completely out of touch? You don’t need to answer that. The answer is obvious. There was a touch of humour as Shearer said, “you don’t need to answer that. The answer is obvious.” The audience loved the wry touch and laughed. The laughter was at National’s expense. I have been serious about youth unemployment from the day I was elected leader. Labour’s plans are out there. I’d be delighted if this government picked them up and ran with them. We’ll pay employers the equivalent of the dole to take on apprentices. More loud applause. Everyone welcomes the idea of apprentices – what’s not to like? Taking young folk from our 85,000 Unemployed or Not in Education or Training(NEET); training them into a trade; adding to the skills base of our country – this is real investment. We’ll back Kiwi businesses to get their slice of the $30 billion dollars the Government contracts out every year – but we will require them to take on apprentices and trainees in return. This is the kind of social contract that only a centre-left government can enact. 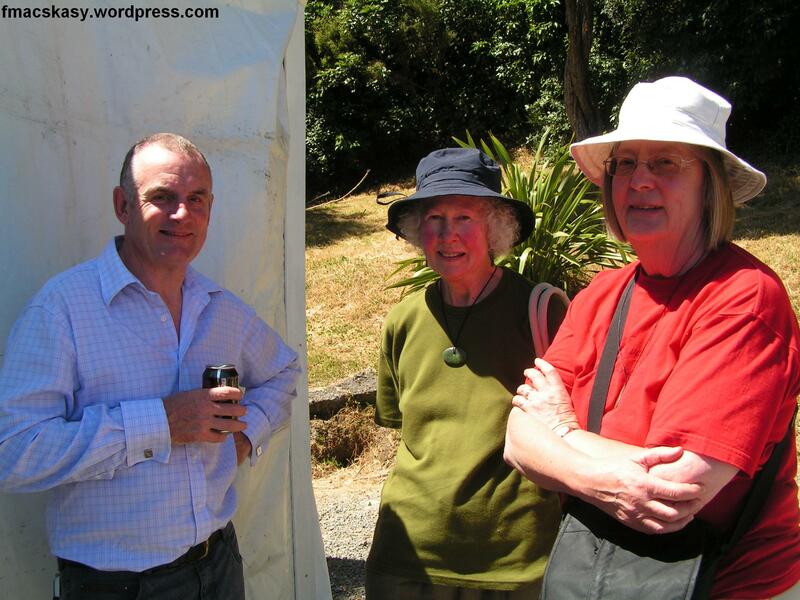 National’s neo-liberal dogma could not allow such a hands-on, visibly interventionist, policy. It flies in the face of everything they hold dear; that only the “Market” can create jobs. Labour (or any other centre-left and left Party) has no such constraints. They can be utterly pragmatic and do whatever it takes to generate jobs. We’ll give tax breaks to companies doing world-leading research and development, so the innovations – and the jobs – they create stay right here in New Zealand. When I see talented people forced to leave their home town because there’s nothing on offer for them, it’s time to act. That’s why we’ll work with councils on projects that support their provinces. Projects like the Gisborne to Napier rail link to boost economic development and create jobs. This was well received by the audience, with good applause and rowdy cheering. The audience seemed to understand perfectly well the long-term value of rail. When I hear of high value manufacturers shedding jobs because our high dollar cuts them off at the knees, it’s time to act. We’ll make changes to monetary policy so that our job-creating businesses aren’t undermined by our exchange rate. When a 5 year old girl falls asleep in class because she had no breakfast before she left home, it’s time to act. Labour will put food in schools, to make sure all our kids get the same chance to learn. When a mum and dad work long hours but still can’t afford healthy food for their kids, it’s time to act. We’ll lift the minimum wage and champion a living wage to make sure hard work can provide a decent living. This is what I mean when I say we need a smart Government prepared to act. This is where National will continue to be on the back-foot. 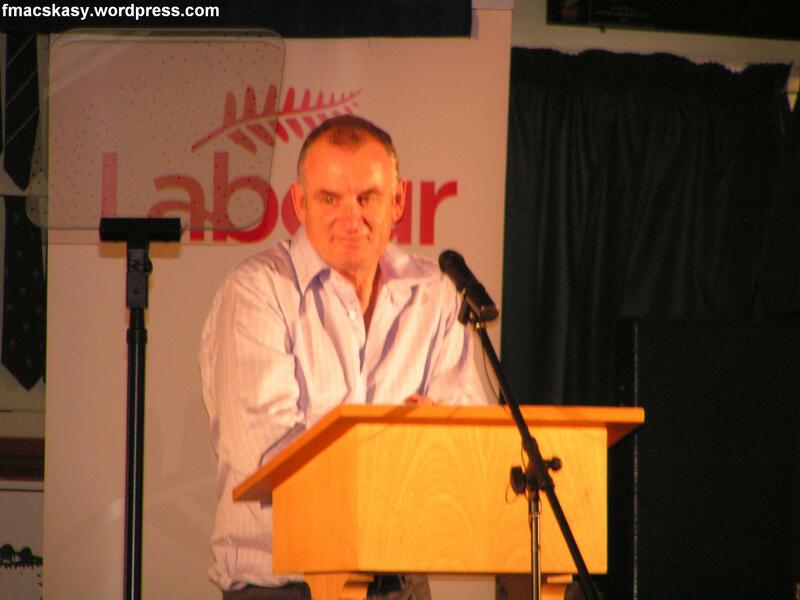 Come 2014, (if the Nat-led Coalition lasts that long – by no means a foregone conclusion) Key and his administration will have been in office for six years. Aside from balancing the books (oh f****n hooray), what will be their legacy? What practical achievements can they present to the voting public after two terms in office. Bugger all, I would suggest. A Government that says we will back you if you’re prepared to do your best. Yes, we face huge challenges, but by being hands on we can turn our biggest challenges into opportunities for the future. Since we announced KiwiBuild last year, excitement is growing. Architects, construction companies and designers around NZ have been in touch. They see an opportunity to build affordable, energy-efficient – even energy generating – houses. Houses that use home grown sustainable materials. Houses that families will be proud to call home. This is an idea the country is embracing. And it’s also 100% feasible. There is no reason why any of Shearer’s suggestions cannot be implemented. It is, after all, part of our innovative, “number 8 fencing wire” mentality that we love to espouse as a Kiwi characteristic. Ok, well let’s put that into operation. Not just to make money for overseas corporates like Warner Bros – but for our own young people. This is the kind of talk that cuts through the free market, neo-liberal BS. This is what will encourage New Zealanders to call this country home – and not just a launching pad for overseas destinations. More than 70 per cent of Kiwis support our KiwiBuild programme to build 100,000 first homes. New Zealanders are also behind our other new ideas and those numbers are growing. Most people see the need for a Capital Gains Tax on investment properties. Nearly six in every ten New Zealanders support our idea to make KiwiSaver universal. And nearly two-thirds of you back our pledge to protect universal superannuation for future generations by gradually lifting the age of eligibility. The forces of conservatism said that reforming Super wasn’t the right thing to do. It wouldn’t be popular – so we shouldn’t do it. They were wrong. New Zealanders are forward thinking and are prepared to do what it takes to create a better future. When New Zealanders understand the long-term implications of their decisions, and vote accordingly for sensible policies on Election Day, we can achieve great things. But when we vote through sheer stupidity for selfish reasons – as many did on 29 November 1975 for Robert Muldoon – we inevitably achieve short term gain. But loose out Big Time on long term benefits (see related blogpost: Regret at dumping compulsory super – only 37 years too late). National has a big idea of course – it’s to sell our best assets. And, with them, goes another chunk of our future. Most Kiwis hate it. And we are behind them fighting that idea all the way. Labour isn’t alone in knowing the time has come for active government. A movement of leaders and people across the world have realised the old hands-off solutions take us nowhere. It’s a new way of thinking and it’s evolving. New Zealanders are looking to a government that will roll up its sleeves and back them. You do your part, and we the government will do ours. In 2014 that’s the Government I will lead. And that it pretty much what persuaded voters to support Labour and it’s coalition partners in 1999. The do-nothing, slash-and-burn mentality of Bolger and Shipley was driving New Zealand to a yawning chasm. Neo-liberalism was creating a nightmarish society of high unemployment, degraded social services, missed opportunities, and widening gap between the rich and poor. Kiwis won’t have to wait until the election to find out what I stand for and what I’ll do about the issues that matter to them. I’ve already put clear stakes in the ground on housing affordability, quality education, growing jobs and the economy. For Labour, this year is about preparing for Government. We want New Zealanders to know that we’re ready to govern. It’s simple: appear confident and act like a government-in-waiting – and they will flock to you. Note, this applies also to NZ First, Mana, and the Greens. The public want to see Opposition Parties working together for the good of the country as a whole. By all means offer your own policies for public debate – but take note that there’s a very fine demarcation between debate and squabbling. Any hint of squabbling and the voters will turn of. There have to be positive reasons for voters to take a punt on voting for the Opposition. Work together, in a cool, calm, methodical, professional manner – and they will flock to you. That’s why today I’m setting out my agenda for the year. It is our most urgent priority and cuts across everything we do. Labour’s plan to build new affordable homes will create thousands of new jobs and apprenticeships. A job is more than a weekly wage, it’s gives people a purpose and pride in themselves. That’s why I’m focussed on jobs. Our housing proposals are at the cutting edge of urban design and energy efficiency. This year we will bring together the best ideas of architects, designers, urban planners and others to a housing conference. I want KiwiBuild ready to roll on Day 1 when we take office. First-home buyers shouldn’t have to wait. Jacinda Ardern, my Social Development spokesperson, will produce an alternative white paper this year, setting out our direction to help lift kids out of poverty. There are 270,000 children in hardship in this country, and the government is failing them. Kids deserve the best chance in life regardless of their parents’ wealth, and with Labour they will get that. And those of us on the Left will be supporting, encouraging, and where necessary, nudging, a Labour-led government to maintain the focus of these problems (I refuse to call them “issues”) . It is simply unacceptable to have poverty in this country and tackling this cancer in our society must rank at the top, along with job creation and caring for our children. On this note, I would suggest that David Shearer demonstrate his total commitment to addressing child poverty in this country by taking on the role of Minister for Children. 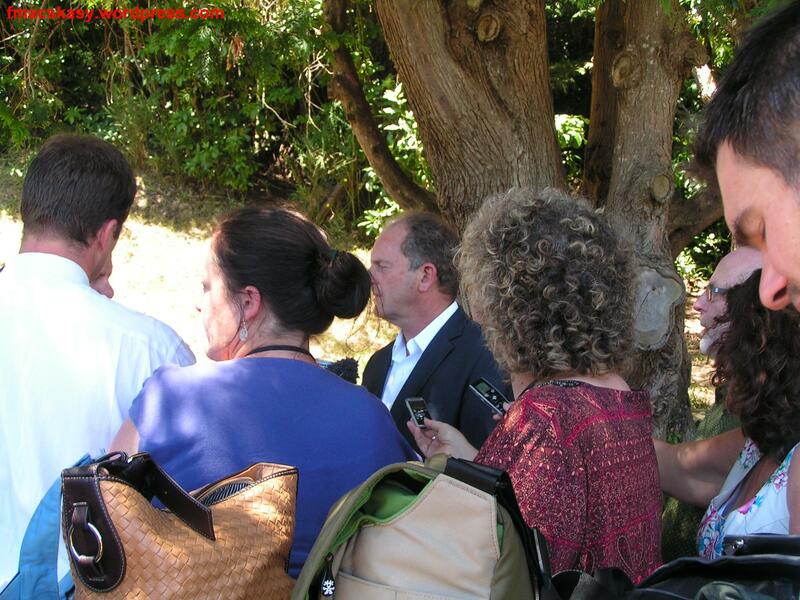 John Key made himself Minister of Tourism – and spent his holidays in Hawaii. I guess he’s Minister of Tourism for Hawaii, and we just didn’t hear that part of the announcement. An incoming Labour Prime Minister’s portfolio must be Minister for Children. No ifs, buts, or maybes – that will set the tone of an incoming Labour-led government. Their best opportunity is from a world-class education system. We’ve already set out our plan to put food in schools and extend reading recovery so our kids aren’t destined to be drop outs from their first day at school. This year I’m asking my education team to look at ways to improve transitions from school to further training and high-skill jobs. 1. Can Charter Schools. These are parasitic neo-liberal constructs which add nothing to our education system. 85,000 young New Zealanders are not in work, education or training. It’s a flaw in our system. I want to see our schools seamlessly connect to further training opportunities. I want every child to go through school with a purpose and plan of where they’ll end up. Because every young Kiwi deserves a shot at a career that excites and motivates them. Without this we’ll continue to see kids, without the right skills to get a job, falling through the cracks. And our employers will continue to struggle to find the skills they need. That’s not a future I want for my kids or yours. I mean, really, it’s so fricken insanely straight forward. A. 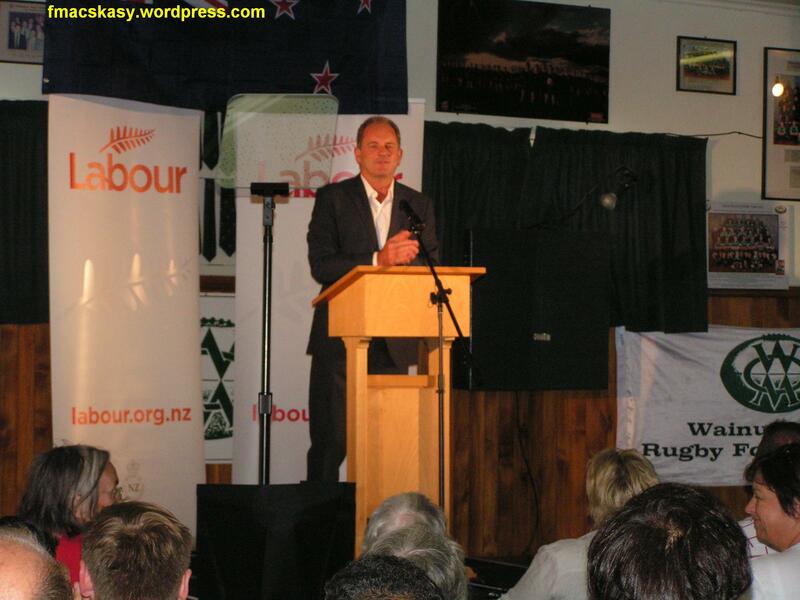 Vote National and more of the same – 85,000 not in work, education or training. B. Vote for a centre-left Coalition and get these kids into apprenticeships. Is there anyone out there who doesn’t get this? I’ve spoken of a clean, green, clever economy many times. We need our environment to drive our economic success and our economy to keep our environment clean. Despite warnings from the likes of Dr Mike Joy that our environment was hardly the fiction of being “100% Pure” or “Clean & Green”, right wing spin doctors (see: When spin doctors go bad) and our Dear Leader don’t seem to understand the simple fact that much of our economy is predicated on our marketing brand (see: John Key’s “pinch of salt” style of telling the truth). Dr Joy was lambasted by Mark Unsworth – a rabid right-wing lobbyist for a professional “government relations consultancy” company, Saunders Unsworth – who condemned the scientist as an economic “saboteur” on 21 November, last year. The reality is we will not create more better paying jobs by simply exporting more milk powder. We’ve been talking about it since Mike Moore invented lamb burgers. Our future prosperity will be carved out by backing the talent of businesses working in high tech, or the innovations of those adding value to our natural resources. It will be built by those that see the promise and opportunity of a clean, green future. Great ideas are emerging from organisations like Pure Advantage, and from thousands of innovative can-do Kiwis. A thriving manufacturing sector is at the heart of my vision. That’s why our manufacturing inquiry that starts tomorrow is an important first step. But the commitment is lacking from government. Well I am committed to this future. That is why I have asked my colleagues to develop a clear plan to diversify our economy. A plan we can put in front of New Zealanders, not airy fairy concepts. All of these areas – jobs, education, housing and building a new economy – are critical to rebuilding our second largest city. 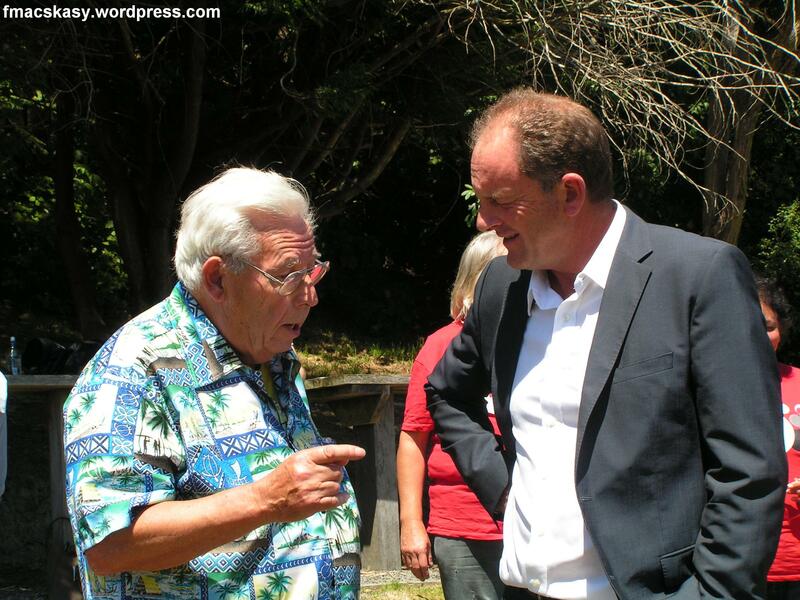 I am committed to rebuilding Christchurch from the grassroots up, not the Beehive down. A part of me thinks that “rebuilding Christchurch from the grassroots up, not the Beehive down” may be the toughest, most demanding of Labour’s promises. 300,000 Cantabrians may have 300,000 opinions as to what should be done. At the very least, a Labour-led government must put an end to school closures and the prospect of the Charter Schools experiment. Christchurch has enough stresses without central government adding to the woes of an already vulnerable community. That’s why I’ll be talking to Cantabrians about how they see their future. To ensure their voices are heard. That’s what we’ll work on in the coming months. These ideas will make a difference. These are ideas National simply can’t see. The difference between the forces of conservatism and the need for change has never been wider. Indeed. On almost every level, there is a world of difference between the expectations of National Party supporters and those who support Labour, the Greens, Mana, and NZ First. 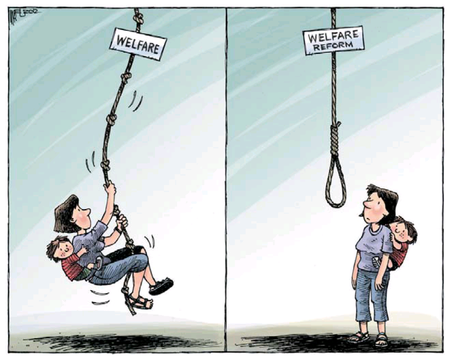 The differences are best epitomised by the issue of child poverty. This attitude of selfishness can become vicious and downright psychopathic in cruelty. Perhaps the nastiest I’ve seen was Damien Grant’s piece in the NZ Herald yesterday – see: Damien Grant: I’d rather a better phone than feed a hungry child. People like Grant – and those who posted vile messages in support of his comments – are the mean spirited, self-centered, dark side of humanity. Their vision of society would not be too dis-similar to to Dickens’ Victorian-era world. Though strangely enough, Rightwingers/National Party supporters are never quite able to explain how a child can choose to be born into a family ridden by unemployment, poverty, dysfunction, addiction, abuse. Strange, eh? Labour/Green/Mana and probably NZ first supporters see problems such as child poverty as a societal problem that affects us all. They understand there are many reason why a family may be living in poverty. With 175,000 New Zealanders now unemployed, it’s hardly surprising that poverty is increasing. Contrary to the bizarre fantasies of right wingers and low-information voters, the dole is not very generous. No one in their right mind would give up a job earning $600 a week, to go on the dole for $204.96 a week, net (see: WINZ Unemployment Benefit – current). A priority of an incoming Labour-led government should be to un-do the benefit cuts of Ruth Richardson in 1991. It is an indictment on Labour that it never carried out this positive reform during it’s tenure in office. Aside from being the right thing to do, Labour should ask itself; why should the poorest in our society vote for them if they don’t un-do the policies of previous right-wing governments? 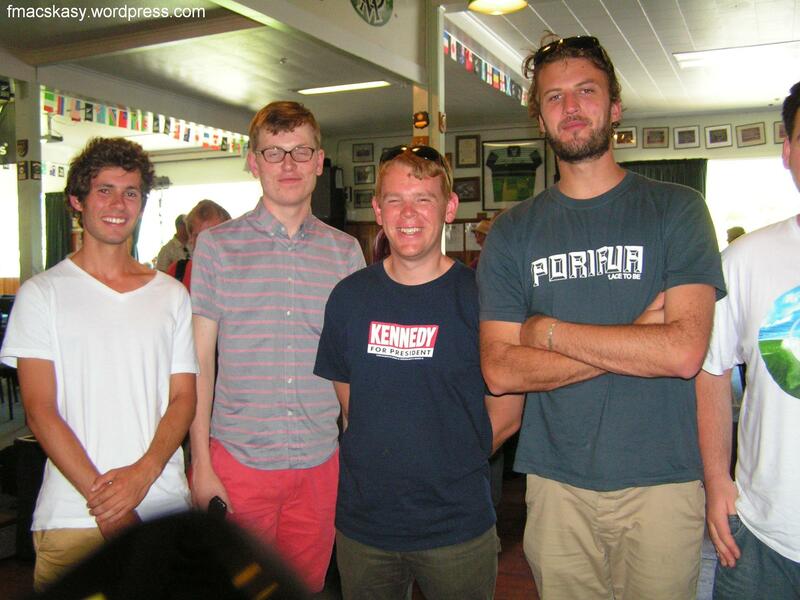 Come 2014, New Zealanders will face a choice more stark than any in a generation. A choice in the direction of their country. Government that’s backing hardworking New Zealanders. “Government that’s backing hardworking New Zealanders“. Code for the fickle middle classes? A government that chooses action over excuses. A government that understands the world is entering a new era and we need to change with it. One that shares the determination and passion of those Kiwis who inspire us most. There was more loud applause at this point. Despite not giving specifics, the audience seemed to like what they were hearing; the direction that Shearer was moving the Party. That’s the Labour Government I will lead. Today, I am asking for your help. I want you to be part of my team and play a part in the next government. I want to hear your hopes for this country and your ideas of how we get there. I want each of you to take the Labour message out to your neighbours, your co-workers, your congregation, and your friends. Tell them yes, we in the Labour Party are committed to making a real difference in people’s lives. We will not accept the status quo. A tide for change is building. The managing director of a company that makes and exports a device that protects crops from hail stones said comments from the Government that his sector needs to get smarter are “insulting and unnecessary”. Mike Eggers said he is sick of hearing politicians telling him he has to up his game if he wants to survive – when the high dollar makes it more and more difficult to operate. A scrap-copper manufacturer told the inquiry the Government can’t continue to do nothing about the exchange rate. A W Fraser managing director Gordon Sutherland said the over-inflated dollar is crippling exporters and it was disappointing when the Government told them to keep making efficiencies to remain viable. Mr Joyce said there was no simple answer to the problems the sector are facing, except to keep working hard to further improve their businesses. If Joyce and his little National buddies think that kind of response will win them the next election – they must be more deluded than I thought imaginable. Joyce might as well have saved time and simply told exporters and manufacturers, “Go vote Labour”. The effect will be the same. Change that guarantees everyone gets ahead, not just those at the top. Change so we once again stand tall as a country. A country where we strive to be a leader – not a follower. A country where the Government is hands-on and backs its people. A country we can be proud of. Friends, join with me to build that future. Because, together, that’s what we will do in 2014. So, what to make of Shearer’s performance? Shearer spoke from a pre-prepared speech (hard-copy provided to this blogger) which he more or less followed. 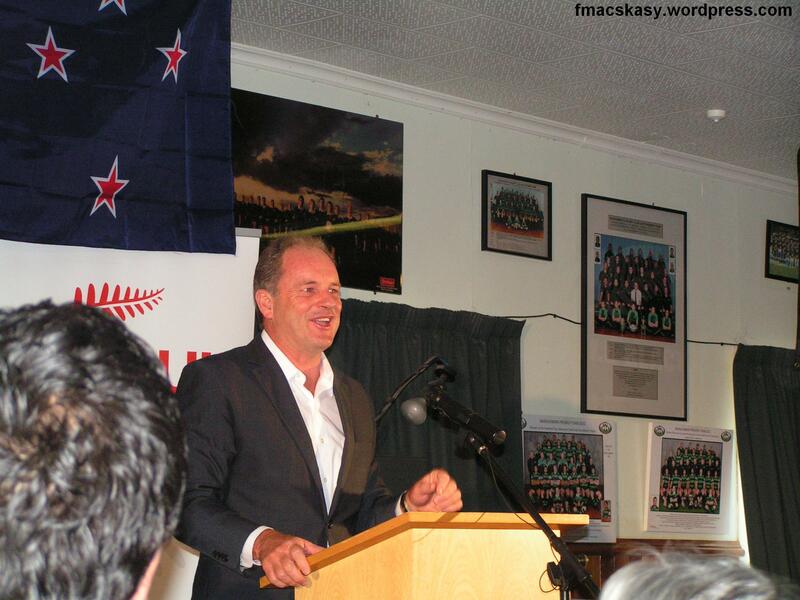 He spoke convincingly and passionately and though perhaps not as charismatic as a Jim Anderton or younger Winston Peters or late Rod Donald, it was sufficient to present his message to people in the Hall. The speech scores a 5/6. It was adequate – but perhaps something was missing. Something that would make a listener sit up, with the proverbial lighbulb switching on. 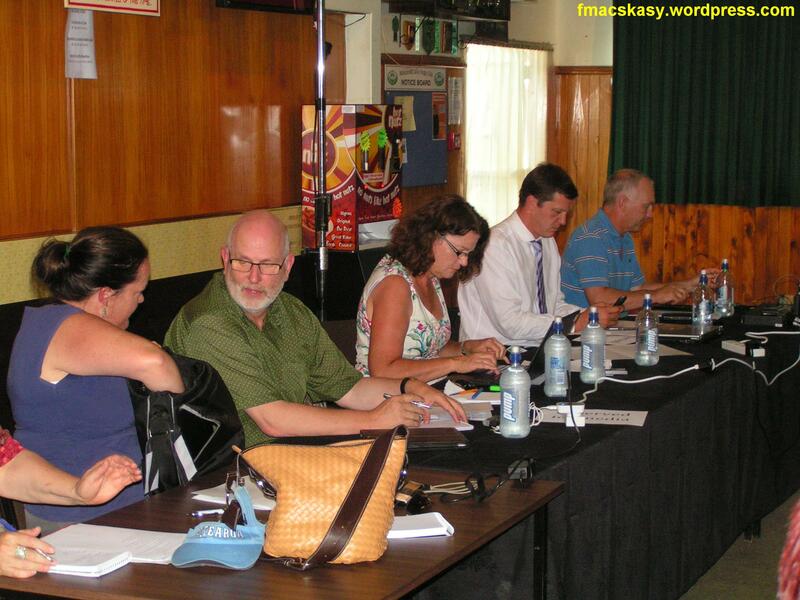 I stood with the group throughout the Q + A session, listening and recording the exchange between Shearer and msm journos. My impression? He has improved significantly since his earlier days as Labour’s mumbling, incoherent, leader. Occassionally there is still hesitation, and that requires further training to make his speech patterns more fluid, natural, and assertive. In any case, except for an occassional moment or two, he answered journo’s questions reasonably well. 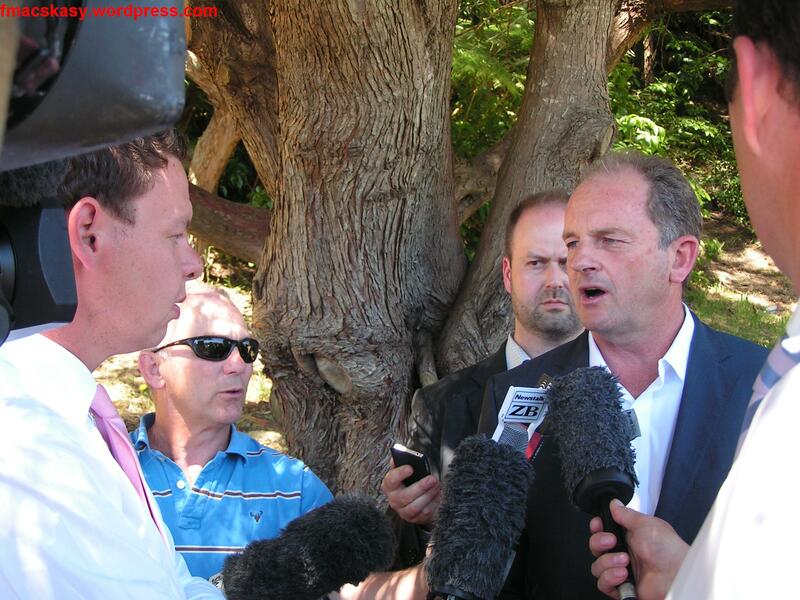 The question is – is he ready to go head-to-head with The Great Car Salesmen, aka, our Prime Minister John Key? Currently, I’m not sure. By 2014, with more practice and experience, and as his confidence grows, he has a fair chance. What the Labour Party needs to do is ensure that not only does Shearer get the training and experience, but that he is 100% well-versed in every aspect of Labour policy and funding mechanism. 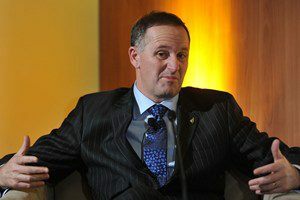 National is vulnerable right now, and this blogger believes things are about to get a whole lot messier for the Tories. 2012 was only the beginning of their eventual demise as government. There’s still a lot of work ahead of us, and every critic and opponant of National must do their bit; Party activists; MPs (which means side-lining hopeless non-performers and elevating those who are taking it to the Nats); bloggers; and disaffected ordinary New Zealanders who’ve had a gutsful. 2014 is ours to seize. This blogger has no links or preference to either “Team Shearer” or “Team Cunliffe”, and is mostly neutral in the leadership stakes. * Where purpose of use is commercial, a donation to Child Poverty Action Group is requested. * At all times, images must be used only in context, and not to denigrate individuals. Issue 1: National Party cabinet reshuffle – rearranging deck chairs on the Titanic or the boldest political move of the 21st Century? 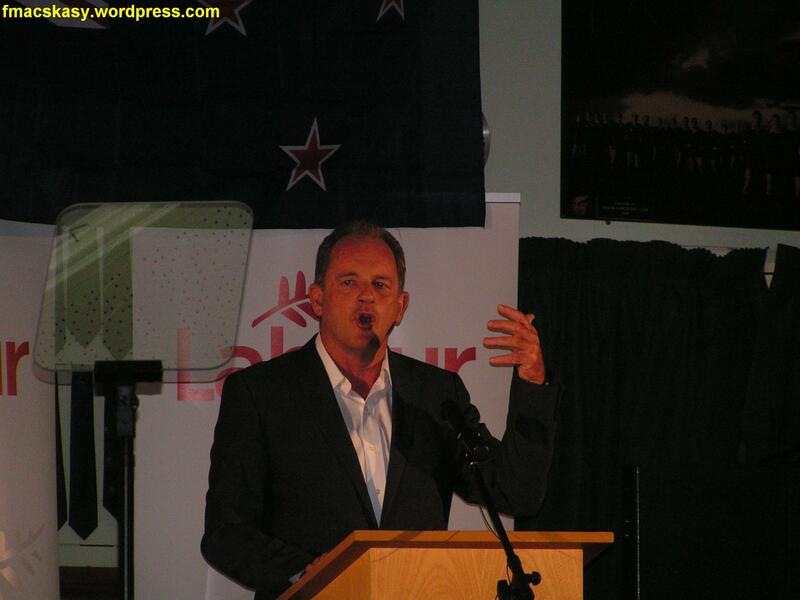 Issue 2: First Political Poll of 2013 – National up and Labour down – what does David Shearer need to do? and Issue 3: Ratana this weekend – has Maori political influence peaked – what is happening in the Maori Party? Citizen A broadcasts on Auckland UHF and will start transmitting on Sky TV on their new public service broadcasting channel ‘FACE Television’ February 7th February 2013.